May was such a busy newborn month at the studio! They always seem to come in little spurts. There is just something about a newborn baby with a ton of dark hair and I was excited to be able to use the pink and girly accents! She was such a good baby. I have a serious love for all things vintage and antiques, I am constantly browsing through antique stores to find new props and things for our home. If the whole house had a “french country” feel to it, I would be in heaven. 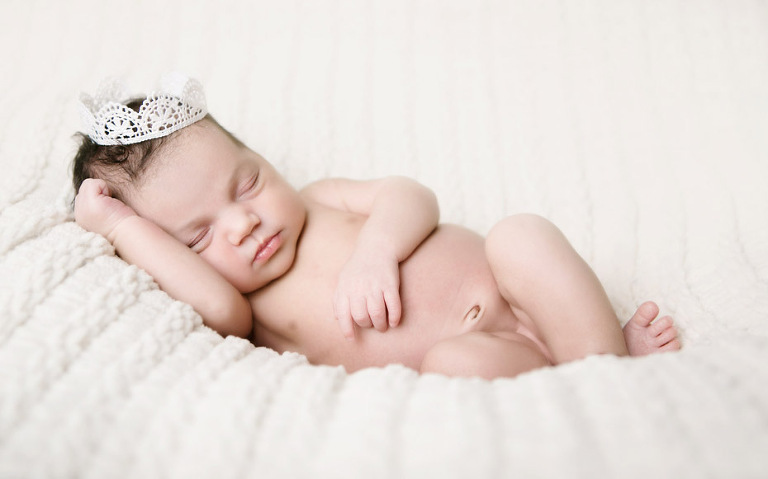 I just kind of fell into offering Kansa City vintage newborn photography from that. There are all kinds of vintage elements to choose from in the studio, from scales, carved bowls and boxes, to hat and fabrics with a “vintage” flair to them. I love quilts and have a whole lot of them that I have deconstructed to use in different set-ups. Obviously, I don’t need an entire quilt, so doll quilts are a perfect size for my tiny beds. For backdrops, I am always drawn to backdrops that look like vintage wallpaper. The floor of the studio is original and I just adore it in images. 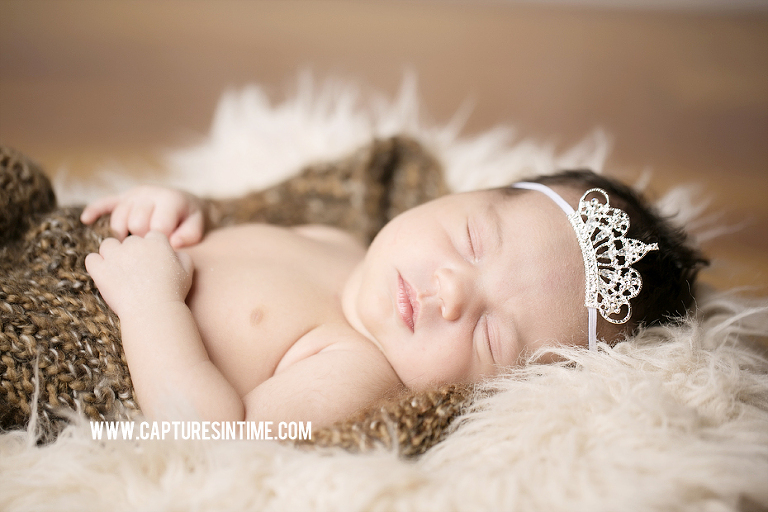 This little sweetie just slept like a dream during her session, she was as easy as pie. Mom has a very easygoing baby on her hands, I think. I broke out my new baby tiara and mom brought a tiara that I really need to order that baby can wear in several different ways. (Already accessorizing). Hard to choose favorites! 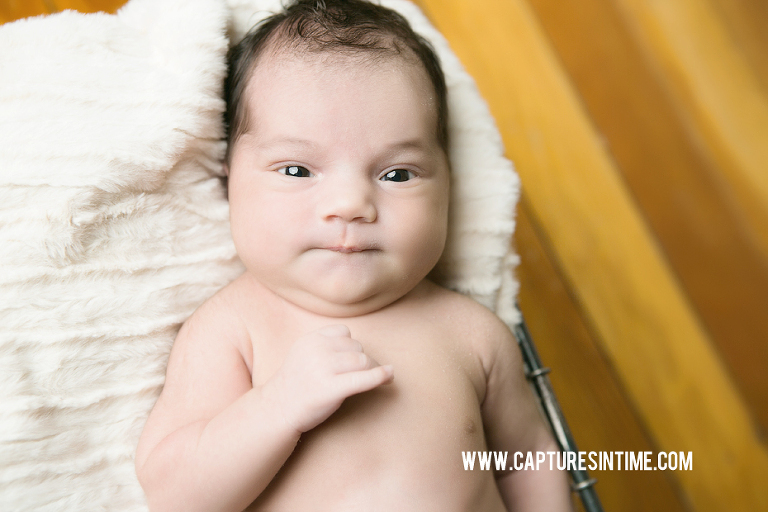 Have you wondered what kinds of things you can do to get ready for your newborn session? Take a look at our preparation guide!